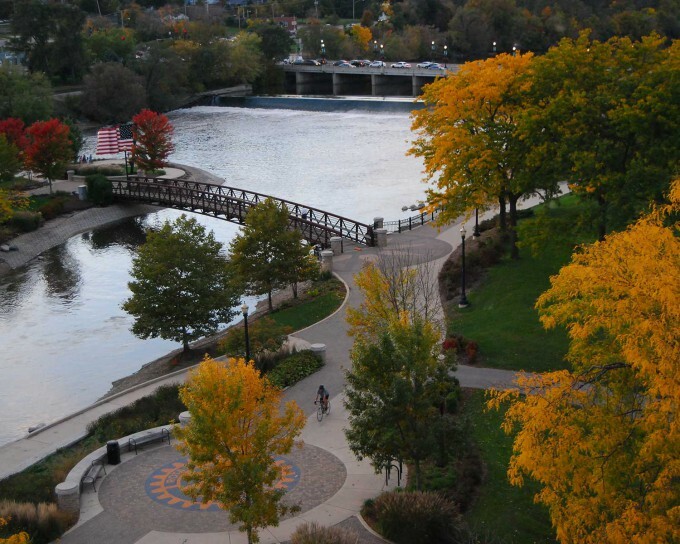 The Fox River Bike Trail in Elgin, Illinois, offers more than 40 miles of guaranteed fun. It runs beside the scenic Fox River in Northern Illinois, alongside historic railroad lines, crossing six bridges and passing through nature preserves and charming towns. The trail is the perfect outing for spirited cyclists, hikers, families and outdoor aficionados. No weather is too extreme to take advantage of the path. If your bike does not have snow tires, break out the snowshoes or cross-country skis. Find food en route at one of the many adjacent restaurants, or pack a lunch and pull over at one of the many picnic spots. No matter what brings you to the trail, enjoy the ride! The Elgin area is only 45 minutes northwest of downtown Chicago. Once here, the easiest spot to access the Fox River Bike Trail in the Elgin area is by The Depot (319 N. River St., East Dundee, IL 60118). Another great spot to get on the trail is in downtown Elgin. Park in one of the free parking garages, and then head north to visit East Dundee and Carpentersville, or head south and explore South Elgin. Explore a map of the Fox River Bike Trail. 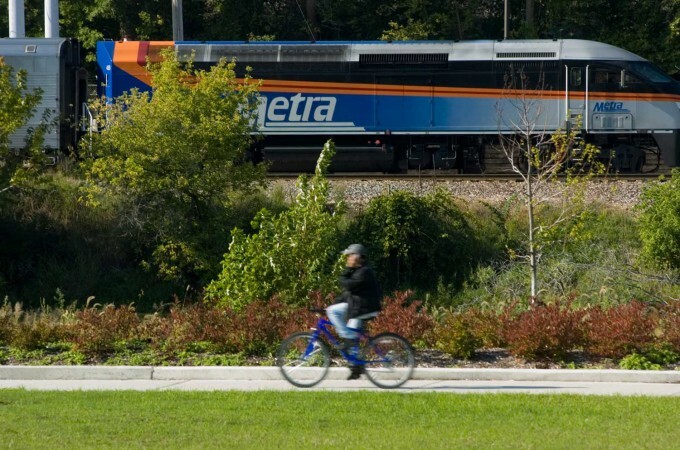 Visitors coming from Chicago to Elgin are able to bring their bikes on Metra’s Milwaukee District West Line and get off at the National Street or Elgin exits, both a block from the bike trail. Check out the train schedule and a map of the line. There is first-rate fishing along the Fox River, with many public spots to fish for bass, catfish and walleye. And, of course, there are plenty of tackle shops to hook you up with the right gear. The Carpentersville Dam is a favorite local fishing hole. The dam has become legendary among anglers for record-breaking walleye and smallmouth bass. 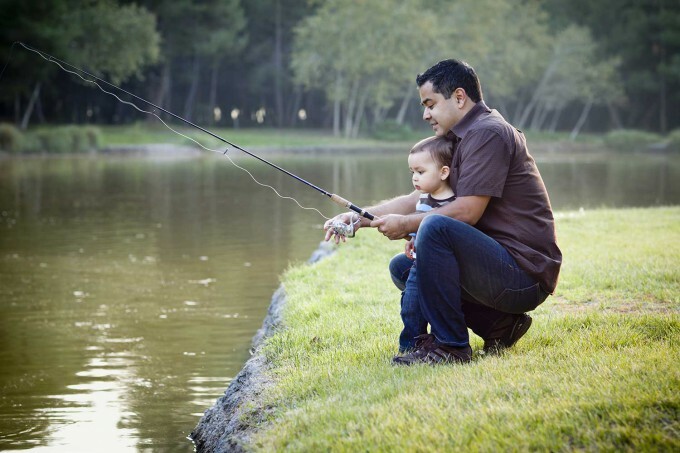 Visit I Fish Illinois for information about licensing, camping, lake details and fishing reports. Take a break in West Dundee to experience Voyageur Landing Forest Preserve. The boat launch here is popular for a reason—this is a gorgeous spot to kayak or boat, toss a line in or kick back with a cold one on the deck and watch the eagles like a hawk. Check out other launch sites or book a guided canoe tour by visiting our guide to the Fox River Water Trails. The Fox River Bike Trail passes through many forest preserves, offering weary cyclists the perfect excuse to ease off the pedals and soak up the natural beauty of the river. Native flyers you may see include herons, woodpeckers and bald eagles. The list below is just a taste of the forest preserves and other attractions along the Fox River Bike Trail. Located alongside the river in Carpentersville, Fox River Shores is home to some unusually steep, swampy habitats with rare plants like Vanilla Grass. In spring, the hills surrounding the Fox River blossom with crabapples and plums. Bring your boat to take advantage of the launch or binoculars for an inspection of this natural gem and its inhabitants. At Hawthorne Hill, you will find a community dedicated to nature preservation and education. Activities, exhibits and events supplement the area’s natural state, which, on its own, inspires visitors to appreciate nature as it is. With two ponds, acres of woodland, a mile of looped trails and an interactive nature center, Hawthorne Hill is a great place to relax and discover the outdoors in Elgin. Do not leave anyone in the family out—wide, wood-chipped trails make for easy hikes, and there is even a wheelchair-friendly trail leading to a sedge meadow and pond. Named after a beatified Mohawk Indian, Tekakwitha Woods is 65-acre forest preserve south of Elgin at the big bend of the Fox River. The preserve features hiking trails and a nature center with interactive exhibits exploring the history of Kane County. Cyclists looking to recharge cell phones or relax their legs can make a stop at Gail Borden Public Library. Stop in to cool off, or bring the kids in to experience the interactive summer exhibit, Extreme Deep: Mission to the Abyss. Families can make this a destination on the trail or a starting point because kids will have so much fun. Gail Borden Public Library also has a deli in their lobby, so trail riders can enjoy sandwiches named after local landmarks. Adults exploring the Fox River Bike Trail can stop for gourmet food, an adult beverage or even a chance at lady luck. Grand Victoria Casino is located right on the Fox River Bike Trail. Grand Victoria Casino houses four restaurants with options including gourmet burgers, a deli and a steakhouse. They also offer lots of bike racks for ample parking. Families have been riding their bikes to Van’s Frozen Custard, located along the Fox River Bike Trail in East Dundee, since 2012. Riding a couple of extra miles does not seem so bad when frozen custard is waiting for cyclists when they arrive. 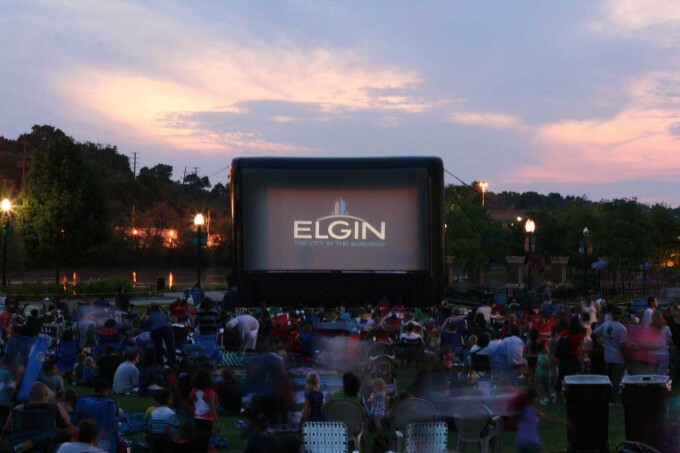 Explore a full list of Elgin events. If you want to explore the trail for multiple days, check out the special rates and Elgin hotel deals. If you want to explore the trail for multiple days check out the special hotel rates at local accommodations. Click here for additional information.